PRK Engineering has been synonymous with “high quality Goods Hoist installation” for more than ten years now. Customers consider PRK as a business partner, who is fast, affordable, innovative and reliable. 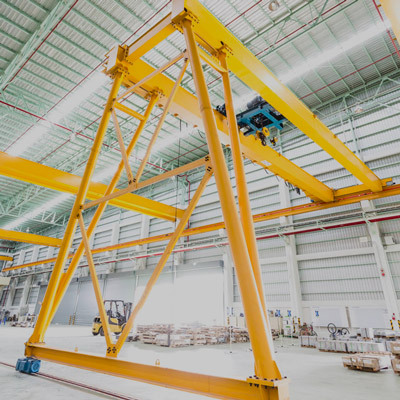 Our well experienced engineering and technical staffs are capable of handling Goods Hoists installations, with a capacity range of 1000 to 7500 kilograms. All our installations are comply perfectly with the regulatory requirements and safety standards. All our installation teams are led by professionally qualified supervisors with more than ten years’ experience within the hoist industry, backed up with the added technical support from OEM partners. These strengths are the reason that PRK has been able to satisfy its customers with shorter delivery times, faster service follow-up and absolute top quality at excellent prices. Readily available spare parts in the strategically located warehouse in Colombo gives our customers an assurance for minimum downtime in the event of maintenance and call outs.